I’m in California for the week and ready to enjoy a great Thanksgiving with my friends and family. The weather is fantastic here and I’m apparently missing a storm called Boreas (really… who names these things?) back in New York. I hope the storm doesn’t ruin travel plans or Thanksgiving for anyone! The photo above is from a photo shoot done on Apartment 34. This is some of the best table styling I’ve seen in a long time. Bright, colorful, full of personality, and I LOVE magnolia leaves. Be sure to check out the rest of the shoot on Apartment 34—it’s pure eye candy. 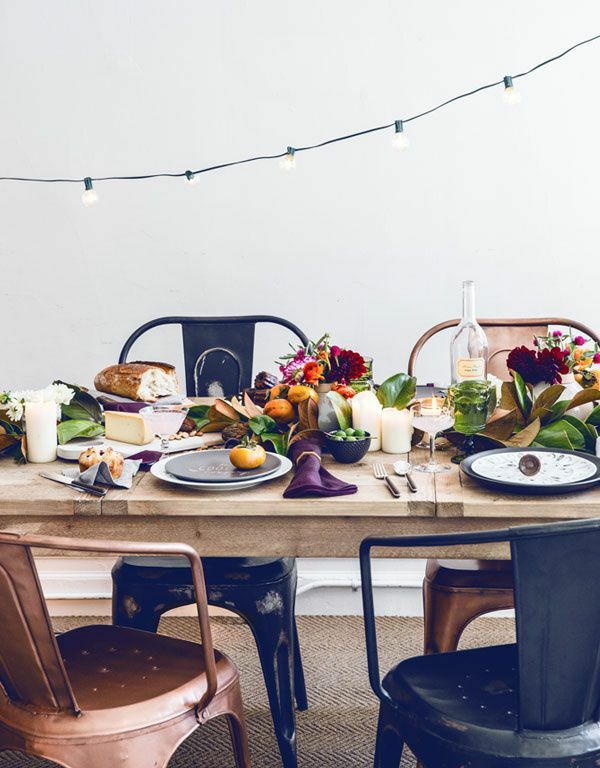 Anyone going to have a Thanksgiving table that looks this amazing? This weekend included a trip to the rooftop bar at the Metropolitan Museum of Art. We arrived right in time to see the sun set over Central Park and the New York skyline. The Met always commissions an exhibit or installation for the rooftop, and the current installation is by Imran Qureshi. It depicts a stunning organic pattern emerging from spills of red paint. I tried to be fancy by getting a drink made out of rose syrup, but the drink was way too sweet for my liking. We decided the sweetness of the drink was enough justification to go back to the bartender and ask for more Vodka, so it all worked out in the end. Have a great week! I got back to New York after a wonderful week of friends, family, birthdays and weddings, and the plan was to dive right back into a regular blogging schedule. But the best laid plans of mice and men often go astray, and blogging has gone a bit out the window for the past few days. I try to make blogging a priority, and I tried to fit it into my schedule, but it just wasn’t happening. At the end of the day, there is only so much you can do, right? Hopefully, Stella (Rashi) gets her groove back ASAP. I’m off to our annual family vacation, so there won’t be any new posts this week. Have a good one! It’s something that’s been on my mind recently. I had coffee with an old friend a week ago, and she was telling me all the awesome things she’s up to and how important it was for her to find a mentor, and how much it has affected her career and decisions. Then I saw this awesome blog post about it by Cassie from the Veda House. Mentorship is an interesting topic for me, because I’ve never really had one. I’m not sure if it was intentional, just in my nature of preferring to figure things out myself, or I just didn’t realize the importance of mentorship. It’s probably a mix of all three. Admittedly, I get a bit jealous when I hear people talk about that special teacher from their past who helped them become who they are today. Sure, I’ve had amazing teachers and people I looked up to as I grew up, but none that I formed an extraordinary, long-term special bond with. In the onset of my design career, I can think of 2-3 people who took me under their wing and really taught me a lot, but years later, I’ve lost touch with them. I totally fault myself for that. Now I’m slowly realizing the importance of having someone you can not just look up to, but also reach out to form a deeper mentor/mentee relationship with. Someone who is more than just a colleague or a friend. 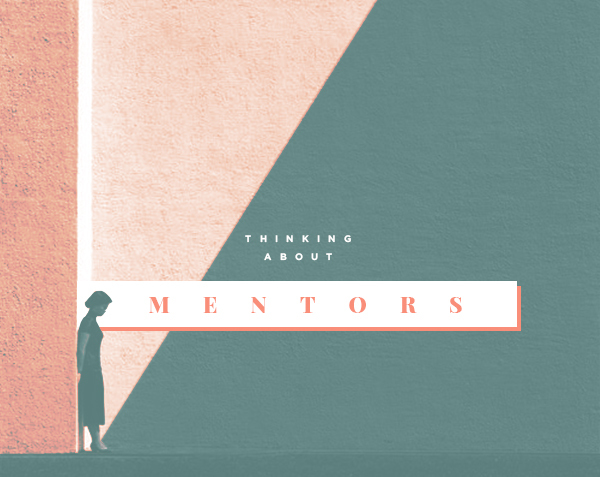 To me, mentors can be amazing sounding boards. They have more experience than you and have so much wisdom to share. They have probably gone through what you are going through and can help you navigate through all the uncertainty. On the flip side, it’s also important to create bonds with people you can teach and who are asking you for help. I’m realizing that I would love to be a mentor to someone in the future. I think the biggest way to grow is not only wanting to be taught, but also wanting to teach. 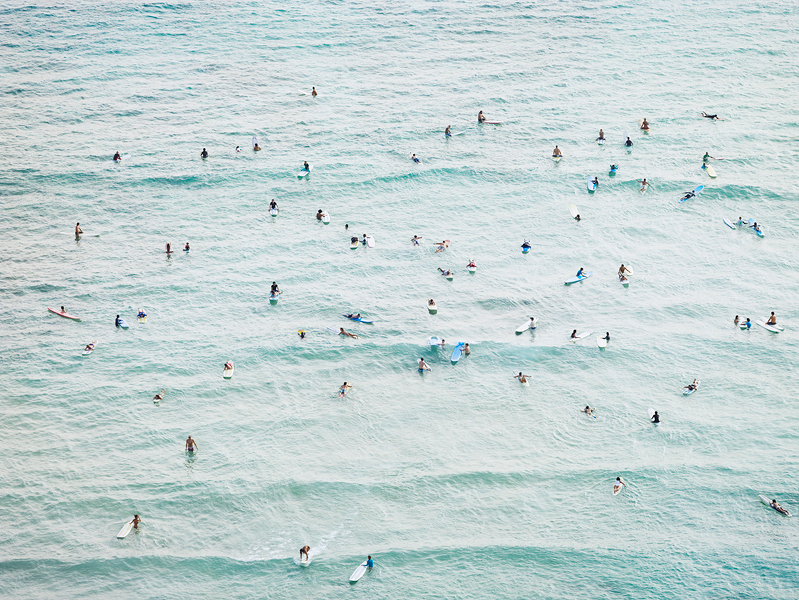 Ah summer… please don’t go! Biggest lesson learnt this weekend? Sometimes it takes 5 tries and the help of a nice boy named Kyle to start a fire. But 5 tries is worth it when you finally get the fire going and aren’t relegated to eating bagels in your tent for dinner. The world of working for yourself is hardly stable. Sometimes you have clients galore and you love the work, sometimes you have clients galore but you hate the work (but the money is damn good), sometimes you have potential clients galore but they can’t afford you, and sometimes you have no clients at all. During my first year of freelancing, the size of my work load swung like a pendulum back and forth, from one side to the other. I know everyone’s first year or so is like this so I was expecting it, but being mentally prepared for it and actually going through it are two entirely different things. Awhile back, I had a small breakdown (not really a breakdown per se… but let’s use that term for dramatic story telling purposes). I had just finished a few big projects and though I had some other work going on, I wasn’t fully booked and that was driving me crazy. I felt inadequate and actually started questioning if I was good enough to be successful on my own. I was going through a patch where I wasn’t able to land the work I really wanted to do. In my pervious agency job, when work was slow, I still came in to the office and putzed around. Or I showed face and left early. Or I worked on other personal projects or internal company projects. Whatever I did and no matter how much work there was, I still got paid and there was a massive amount of comfort to that. So, after feeling terrible about myself for a few hours, I happened to get an email from someone who was in a major bind and needed immediate design work done for what was a really cool project. The next thing I knew, I started working and was up for almost 36 hours straight cranking away. It basically took me 4 hours to go from feeling like a zero to a hero. The entire experience was exhausting and very telling for me. The highs and lows can really take a toll on female hormones—even though I’d like to consider myself a relatively emotionally stable person. After that experience, I’ve really calmed down and accepted the reality of my work. When it rains, it pours and when there’s a bit of a drought, it’s ok to relax a little. I strongly believe that if you do good work and don’t give up, eventually the pendulum won’t swing back and forth so dramatically anymore. 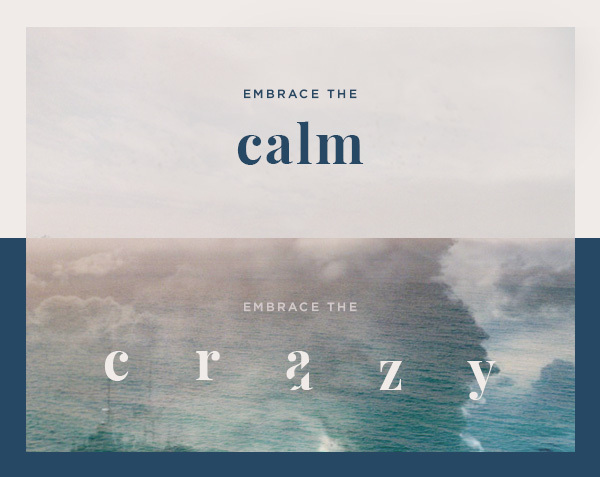 Embrace when things get a little crazy because that means you are doing a lot of work and as long as you enjoy that work, crazy is a good thing. On the other hand, as long as you aren’t just sitting around and twiddling your thumbs, also embrace when things are calm because you never know when that calm period is going to come again. Even though it’s so hard and stressful as hell, just try and go with the flow. And lastly, just be patient. It always seems to work itself out in the end. 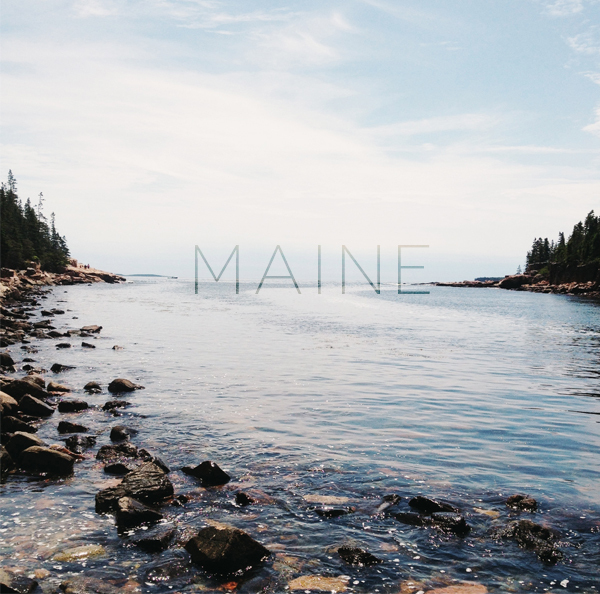 I’m back from my summer trip to Maine, and boy what an incredible trip it was. Maine is a stunningly beautiful place, and I think it gives California (the best state in all the land) a decent run for it’s money in terms of natural landscape. I spent time in Portland, then drove up the coast to Bar Harbor to spend a few nights in Acadia National Park. It was a trip filled with biking, hiking, rock climbing, walking, beaches, lakes, forests and fantastic food. Normally when I go on vacation, I plan outfits, jewelry, and I try to look my best. This trip, I spend 90% of the time in workout clothes/comfy clothes and enjoyed being active the whole time. It was wonderfully rejuvenating and the best escape from New York City. 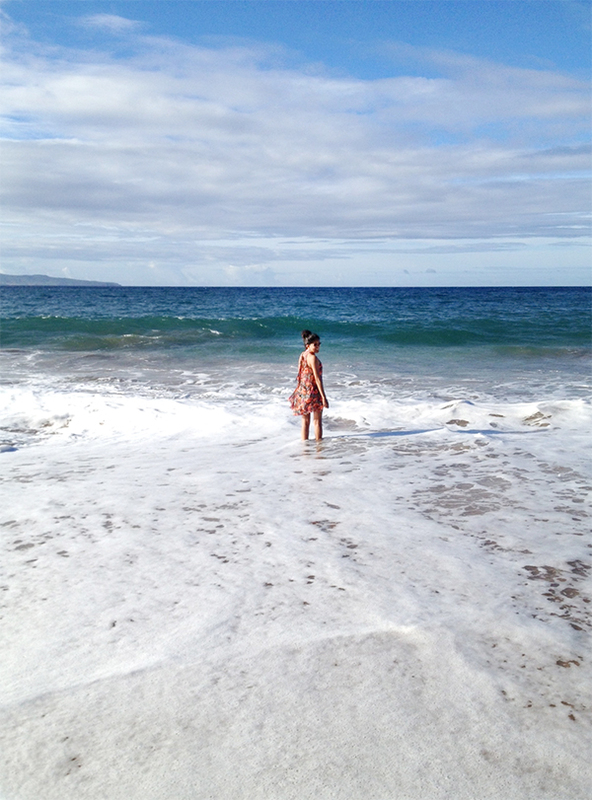 Obviously, I took pictures like a madwoman (I feel for people who have to take trips with me…). The photos above are from my phone, half of which I posted on Instagram already, and I have a slew of photos to go through and edit from my regular camera. Hopefully those photos will turn into a personal project I’ve been plotting in my head for a few weeks. Happy Monday and have a fantastic week! Time. Oh time. If someone were to ask me what is the number one quality someone needs to have when they are their own boss, I’d say it’s having a command of time and time management. When you work for someone else, time is a little more structured: you show up when you are asked to show up, and you leave either when your work is done or when it’s time to leave. When you don’t have that 9-5 structure in place, it can spell disaster if you don’t know how to handle it. The first few months of my freelance career was a bit of a disaster, schedule wise. I’d get up late, wouldn’t start work until the afternoon, I’d be productive some days, be unproductive other days, shower in the middle of the day, eat at random times, sleep late—basically, not good. Because my day was so all over the place, by the time night came, often times I wouldn’t have my day’s work done. This meant working through the night and missing dinner with friends or having time to myself to relax. I quickly realized I stunk at managing my time. When left to my devices, I had little discipline with time and it was taking a toll on my sanity. I realized I needed to start developing good habits. I started waking up at the same time everyday and sleeping at the same time at night. I started creating a schedule for myself where I showered, ate, and left the house at the same time everyday to go work somewhere out of the house. I started taking proper lunch breaks at roughly the same time and tried to stop working at the same time. 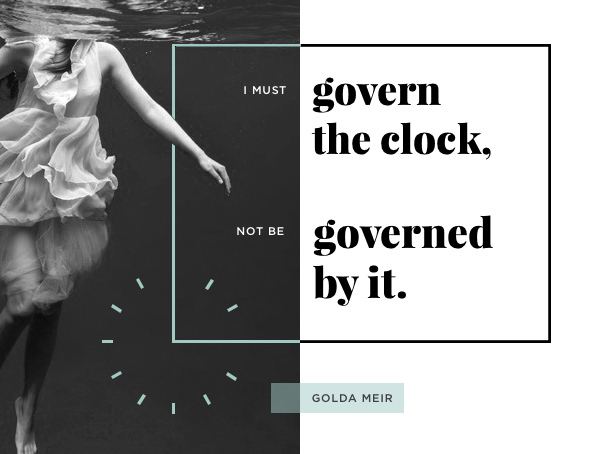 Obviously, the joy of working for yourself is the flexibility that comes with it (I happen to be working from my bed and unshowered this morning), but I think that flexibility is a good thing only once you can prove a mastery of time and your schedule. Otherwise the “flexibility” may as well be called the “black hole of time”. Another time-related lesson that I had to learn was exactly how long things take and how much I can actually do in a day. There is only so much time in a day— no matter how productive I can be, completing a 20 item to-do list everyday is unrealistic. Espeically when many of them are creative tasks where it’s hard to estimate how long they are going to take. Creating more realistic to-do lists were the key. I recently started using the 1-3-5 rule to make a more manageable to-do list. In short, the 1-3-5 rule means making headway on one big task, three medium tasks, and five small tasks a day. Sometimes I can’t even get all that done, sometimes I can do more. Sometimes something outside of the list comes up and I do that. At the end of the day, there is always something more you could be doing, so you have to know when to stop. The biggest eye opener for me was realizing that everything takes longer than you think it will take (especially creative tasks) and you should always add buffer time. Buffer in time for more review rounds. Buffer in time for a client taking longer than you estimated to get back to you. Buffer in time for the extra long lunch you decided to take because the weather was so damn nice outside. I’ve learnt that buffering time is key to not getting stressed out and keeping your focus. Last time lesson? To make the most of my time when I’m working, I try to have zero distractions. Operative word here is “try”. There have been so many studies showing that we are not as good at multitasking as we think. The best thing that has helped me do this using the famous Pomodoro method. I currently use LiveBooster, but I’m sure there are other apps out there that do the same thing. The best thing about this method is it’s 25 min of focused time at once, then a 5 min break where I can look outside, play Dots, check Instrgram… the list goes on. After 4-5 30 min. sets using this method, I take a longer break. Breaks combined with bursts of focused time has worked well for me. When I’m on a break, I try to focus being on a break and not start thinking about work. Obviously I’m still working on all the things I mentioned above. Some days are better than others, but as long as I’m striving to have control over my time, I’m a happy camper. • Set a schedule for yourself! Good habits mean discipline, which then means having time to be productive and have a life. • Be present with what you are doing. If you are working— work. If you are playing Dots—focus on getting the highest score possible. Then call me and teach me how to get a higher score than 200. Thanks. • Take everything I have to say with a grain of salt. I’m just speaking from my experience and what has worked for me. Something else work for you? I’d love to hear about it! 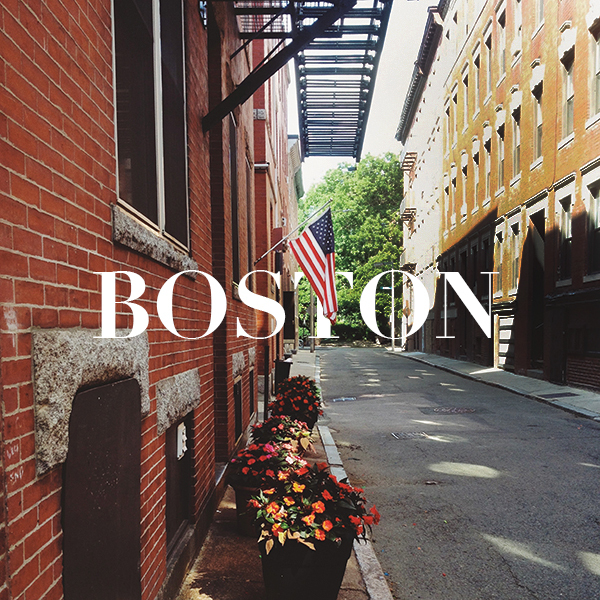 I went to Boston this past weekend to visit friends and, you know, be super American. I had never been to Boston before, and it sure is a cool city. There is wonderful architecture everywhere, and I loved the red brick that seemed to be on every other building. Also, Boston is so CLEAN! I’m always impressed when big cities are clean—espeically coming from New York. We managed to do a variety of stuff including walk the entire Freedom trail. People we spoke to afterwards were impressed because apparently a lot of people get sidetracked on the trail and end up sneaking into a bar. I can’t say we weren’t tempted. I think we deserve an extra pat on the back because we did the entire trail on the hottest day of the year. Crazy or impressive? You be the judge… We met a talkative ice cream man near the end of the trail (and obviously bought big Rocket Popsicles and Ninja Turtle ice cream that had gum balls for eyes), and he was telling us stories about Charlestown and how much of the the movie, The Town, was totally true. He grew up knowing a lot of people who robbed banks and some of his friends are still doing jail time for it. Cray. We also visited the Boston Public Library (my favorite part of the trip), went to the Sam Adams Brewery (free tastings! ), and went to Cambridge and Harvard (don’t kill me, but I was slightly underwhelmed by the campus). There was, of course, a lot of eating, music, drinking and laugher sprinkled in. Yay for Boston and yay for surviving the heat.